Central Florida foodies take note: one of the year’s best events, Taste of the Nation, is now Taste! Central Florida, and it will take place at the Orlando World Center Marriott on August 19. With the new name comes a new local focus, with the event now featuring an extensive lineup of local celebrity chefs and eateries, and highlighting local farmers, food purveyors, brewers and distilleries. 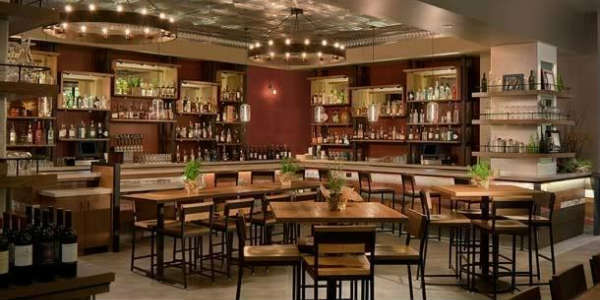 The Southern-inspired, farm-fresh restaurant PB&G at Four Seasons Resort Orlando now has its own custom bourbon. 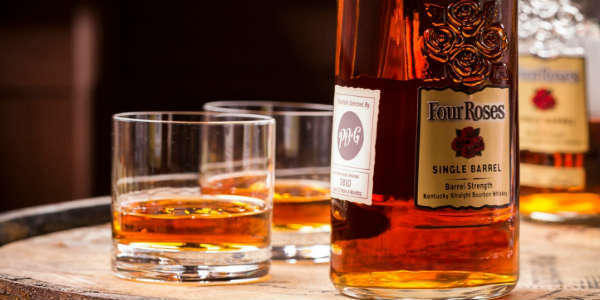 In partnership with Four Roses Distillery in Lawrenceburg, Kentucky, this particular bourbon has been aged in a charred oak barrel since October 2004, and is made up of 60 percent corn, 35 percent rye, and a 5 percent malted barley base. 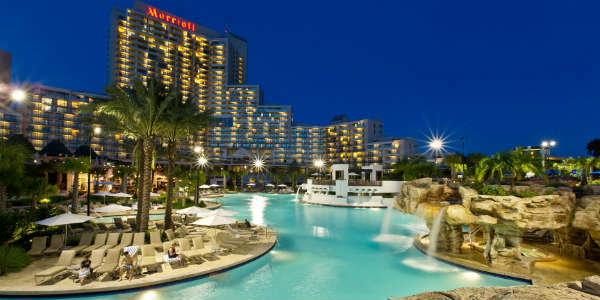 Orlando World Center Marriott guests will now get to enjoy a 13-minute nightly show, called “Light Up The Night,” at the resort’s Falls Pool Oasis. The new tropical oasis and 564,000-gallon, palm-lined pool with rock outcroppings and several waterfalls are the perfect backdrop for the state-of-the-art digital graphics and bursting lights synchronized with music that make up the show. This weekend, I was honored to attend this year’s Orlando’s Taste of the Nation event at Orlando World Center Marriott, and it was a fabulous event full of great food and lots of giving. The event raises benefits Share Our Strength’s No Kid Hungry platform, as well as local organizations Coalition for the Homeless of Central Florida and Second Harvest Food Bank of Central Florida. On August 8, Orlando’s Taste of the Nation will celebrate it’s 26th installment of bringing together Central Florida’s most celebrated chefs to benefit No Kid Hungry. At this event, forty-four of the area’s most accomplished chefs will showcase tasting portions of signature dishes, accompanied by fine wines, craft beers and specialty cocktails, to ensure that no child grows up hungry in our city and across America. The upscale Siro: Urban Italian Kitchen at Orlando World Center Marriott has named Kyle Anderson as the new chef de cuisine. Anderson, a Culinary Institute of America and UCF graduate, honed his culinary experience in various kitchens throughout Texas, Georgia, and Florida. He most recently served as executive sous chef at the Grand Hyatt Atlanta in Buckhead. Returning for its 25th year, Share Our Strength’s Taste of the Nation Orlando, locally presented by Quality One Wireless, will take place Aug. 9 at the Orlando World Center Marriott celebrating Orlando’s culinary excellence and Taste of the Nation’s legacy of combating childhood hunger. Along with appetizers, entrees and desserts from the area’s finest chefs and restaurants, guests can sample wines, beers and spirits while enjoying the silent auction, exciting raffle prizes, and entertainment by the Mud Rooster Band at this premier culinary fundraising event. This year’s event will also be home to a European-style bier garden sponsored by World of Beer. Tickets to the event are $150 per person, and all proceeds benefit Share Our Strength’s efforts to eradicate childhood hunger. Local beneficiaries include Coalition for the Homeless of Central Florida and Second Harvest Food Bank of Central Florida. To purchase tickets or for more information, visit tasteofthenation.org/orlando.